Indulging in hot olive oil hair treatment is one of the best ways to ensure that you don’t wake up to bad hair days. Follow this article closely to know how to indulge in hot olive oil hair treatment. Surfing in the sun is fun as long as it doesn’t leave you with split-ends! Scorching temperatures and humidity can do awful things to your hair, making your strands clump, go stringy and rebel. Thankfully, there are tons of hair-fixes to tone down your hair and give your locks a nourishing relief. Olive oil, one of nature’s best offerings, is the perfect way to minimize hair stress and give your locks a healthy kick. Olive oil not only helps to give your tresses an extra lift and build volume, but also tames the frizz and conditions your shafts. Because of its extra conditioning ability, olive oil can save your hair from forking out or going wonky when you need it the least and leave you with a sleeker, shinier mane all through. Pampering your hair with hot olive oil hair treatment once a week won’t just keep the flyaway’s and split-ends at bay, but will also save your shaft from falling flat. Give your straw-like strands a beauty boost with a hot olive oil massage and bid buh-bye to your dreadful bad hair days for good. Being a natural conditioner, olive oil has the ability to seep deep into hair strands and moisturizes dull, dry and frizzy hair from within. 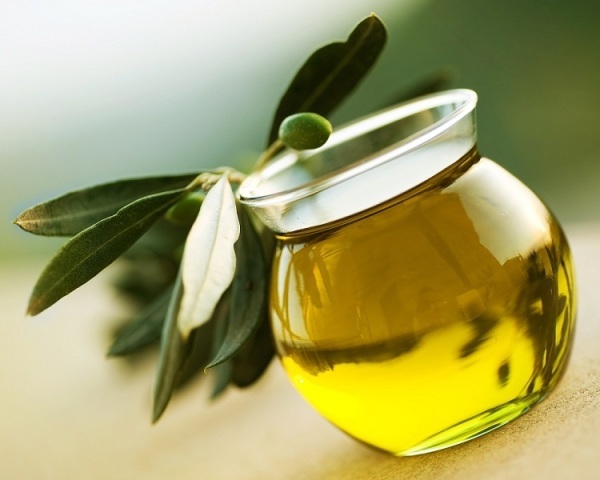 However, before you indulge in some serious mane-pampering, make sure you have the right olive oil at hand. You can go for a jar of cold-pressed extra virgin olive oil or just use virgin olive oil to treat your limp locks. Take some olive oil in a microwave-proof bowl and heat it in the microwave for 30 seconds. Alternatively, you can dunk the bottle of olive oil in a bowl filled with hot water or place a bowl of olive oil over a saucepan and heat it until warm. However, ensure that you do not overheat the oil or else you could burn your scalp! Remove the olive oil from heat and place it somewhere safe where the oil won’t tip over and spill. Using your finger tips, massage the oil gently on your hair and scalp, starting from the roots and going all the way down to the tip of your strands. The cue is to drench your mane completely with olive oil. Rub the oil on your scalp until the oil is totally absorbed. Cover your head with a shower cap and wrap your head with a towel and wait for the oil to seep in. Let the oil sit for thirty minutes before you wash it off. Since olive oil is thick and heavy in consistency, it might take some effort and at least two washes to rinse it off completely from your hair. Wash your hair with cold water and then lather your hair with regular shampoo and rinse. Now squirt some more shampoo on your hair, lather and wait for three minutes for the shampoo to penetrate well. Rinse off with cold water and apply a good conditioner. Once done, towel dry your hair. Blow drying your hair would only make your mane drier. Therefore, it’s best to air dry your hair for best results. Hot olive oil hair treatment is an inexpensive and chemical-free hair conditioning alternative to expensive spa therapies and salon treatments. Just pampering your mane to the goodness of olive oil once every week will ensure that you flaunt gorgeous locks always.